It’s hard to get excited about bluetooth speakers. Believe me, I’ve tried. But damn if this isn’t a nice one. As someone who spent a good part of the last year traveling, I’ve been using the Harman/Kardon Traveler a bit, to make hotel rooms slightly more bearable. 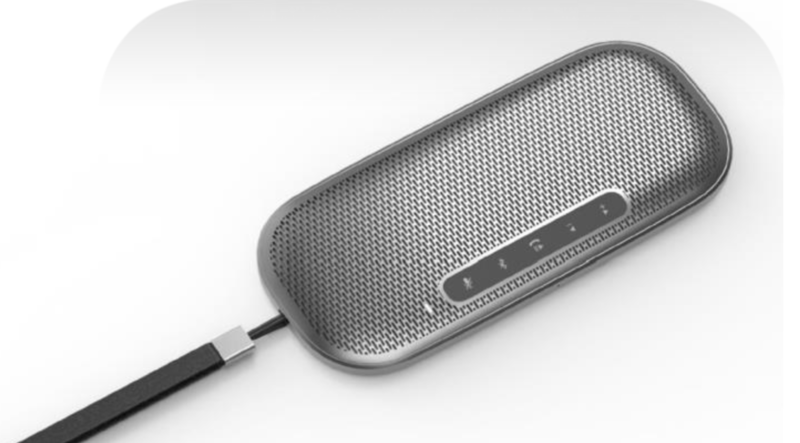 The Lenovo 700 Ultraportable Bluetooth Speaker might end up finding its way into my bag, though. This thing is slick — and super thin at 11 millimeters. It’s got five buttons on the front for manual control and can take calls, which makes it a solid addition for business travelers. It’s splash-proof, so you can stick it near the sink while you brush your teeth in the morning, and the battery should get up to eight hours on a charge. Unlike the Harman, though, it doesn’t double as a phone charger. The speaker arrives in April priced at $150. Which is, admittedly, pricey as far as portable bluetooth speakers go.